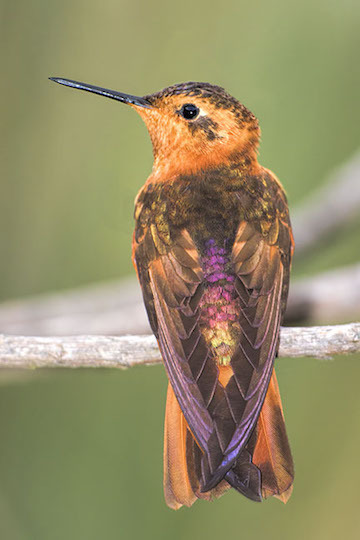 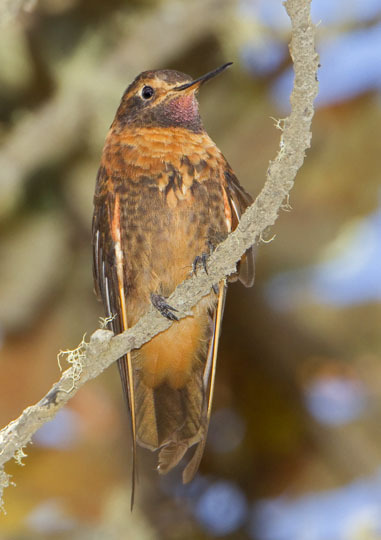 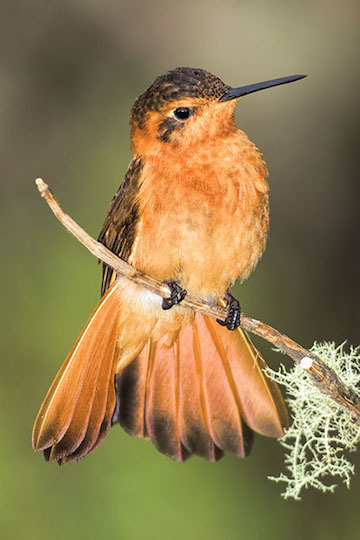 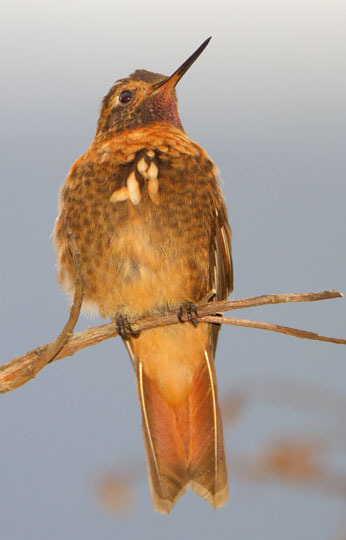 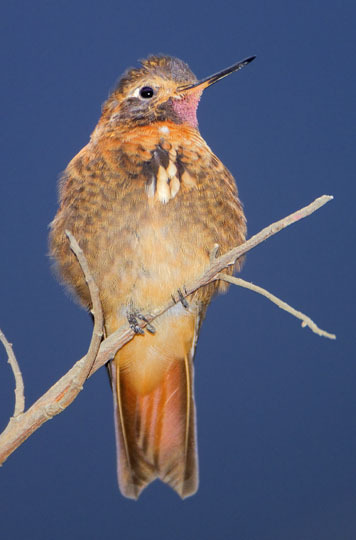 The shining sunbeam is a large, long-winged, rather dull-colored hummingbird of high-altitude cloud forests. 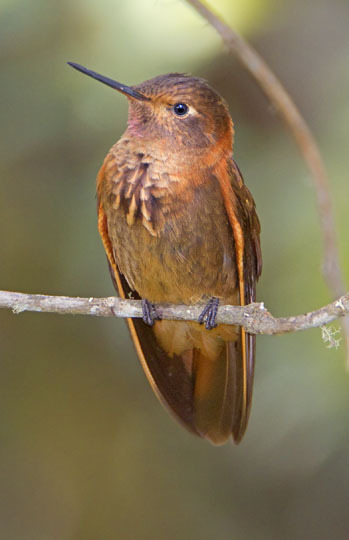 They show some irridescense in good light (but we seldom saw that); most of the time they look drab tawny-brown, as in these images. 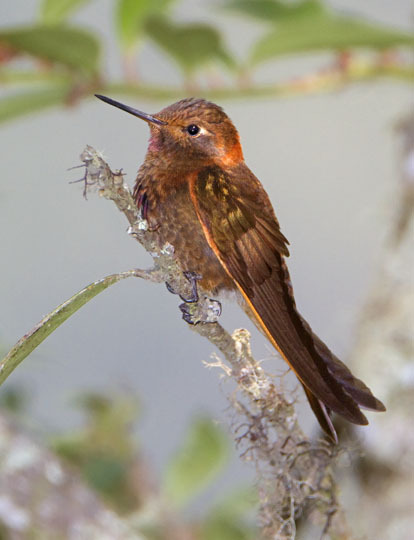 They were taken near Wayqecha Research Station, at about 3000 m altitude on the Manu Road in southeastern Peru, and in southwestern Colombia.